Currently, I believe that there is an inherent problem in the junior cricket equipment market. Cricket equipment is an incredibly diverse and saturated market place, perhaps more so than the football boot market, where Nike, Adidas and Puma reign supreme, with at least four or five models or ‘silos’ available to buy, each with their own series of models at varying price points. 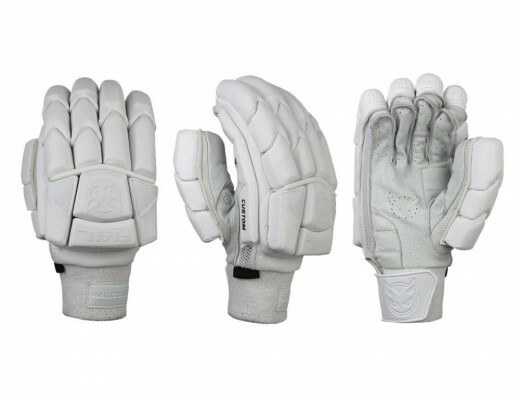 This is also true with cricket equipment, as companies often produce at least two bat ranges, frequently seen coupled with a corresponding range of protective equipment, which just like football boots, have a series of models at different prices. We know this already, but for me, despite the increased diversity of not only the type of products that a cricket player can purchase, (for example, just look at how many different ways companies interpret the split finger batting glove) and the amount of different companies one can choose from these days (the number has grown massively in the past three or four years), often offering a premium ‘pro grade’ product at an affordable price; junior cricketers are still influenced by the big brand names. The quality of junior gear nowadays is almost unrivalled. Previously, cricket companies would forego making a quality junior cleft purely because it would be more cost effective to produce an adult bat with a particular cleft than two smaller, junior blades. However, nowadays they invest more resources into making junior cricket bats, particularly brands that have fewer sponsored players. 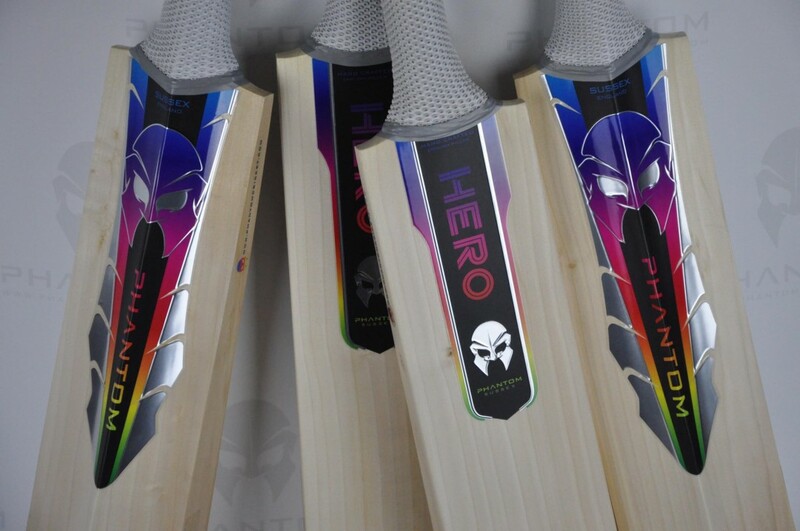 Phantom Cricket, the emerging Sussex based company, have brought out the brilliantly stickered ‘Hero’ junior cricket bat for 2016. The craftsmanship is superb, just as you would find on most top grade men’s cricket bats, and even the stickers have been given some serious thought: a matt black background, shrouded in chrome detailing with an eye catching rainbow effect and all fully embossed. Mighty Willow, Salix, Hell4Leather and Newbery also impressed me with the junior bats they produce; they’re offering attractive shapes in keeping with the modern trend of the bigger bats, and the quality of willow is almost exemplary for a junior blade. This saddens me because when I coach the juniors at my club in Kent during the Easter and summer break, very rarely do I see one of these blades. The most popular bat I saw in 2014 was in fact the Gray-Nicolls Powerbow Generation X, with each and every one of them covered in a fake face to make it appear that it had about twenty impossibly straight grains. Also, I hate the stickers on that bat; but having not really seen any on my club circuit, it sometimes goes to show that the tastes of the junior cricketers might not tally up with the adult game. Unsurprisingly, other big names such as GM, Kookaburra and Slazenger were also popular choices. I want to go on record and say that I have absolutely nothing against the junior ranges of these larger companies, but in my opinion – junior cricketers and definitely adult cricketers can purchase products that offer more for the hard earned money that they have parted with. However, my cricket bat past is hardly saintly followed this trend, a Gray-Nicolls Powerspot (Atherton Special), which I still own, a Slazenger V100, then a Gray-Nicolls Longbow, (which was awful) before I discovered a company called Willostix just down the road from me, where I could purchase a high quality willow bat, choose its own stickers, weight (something I hadn’t really thought of until I started playing men’s cricket properly) and grip colour for less than £150. My thoughts about cricket gear changed overnight. But, if I could go back to when I was eleven or twelve – when I first started playing hard ball cricket – I’d be pressing my parents to purchase me a bat from a company who offer more value for money. Of course, what I can sympathise with the parents is that a cricket bat can be a serious investment, especially when a current Millichamp & Hall size 6 bat can cost as much as £219.99, a higher price than I paid for an adult grade one bat two years ago; and with a sudden growth spurt a child may quickly grow out of that size. However, I do believe that the higher quality of gear that you can purchase (depending on budget, of course) the more it can do to help your performance. It’s a psychosomatic feature of sports performance, but if it makes you feel better about yourself, by and large you’ll play better. I’m not saying that a £400 stick will make you the next Joe Root, but by utilising gear with a higher quality and perhaps one that provides more value for money will improve and transform your game further. So, for parents, it may prove to be worthwhile to purchase a cricket bat that actually offers more value for money, if a little more expensive than the off the shelf big name branded bats you may find in a non-specialist sports retailer, with the end result being an improvement in your child’s game, which in turn will create more confidence and enjoyment while at the crease. More runs, more confidence and more fun – is that not worth paying a bit extra for? It sounds too good to be true, and it probably is. This is because the inherent problem in the purchasing of junior cricket equipment is not to blame the big cricket companies who produce the bats or the retailers that stock them – but actually international star players. Yes, Joe Root, AB De Villiers, Alastair Cook and Steve Smith, I’m looking at you. Everyone wants to emulate their favourite players. When I was growing up I wanted to be Michael Atherton (and there are days when after getting out having opened the batting our side collapses! 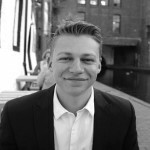 ), then it was Michael Vaughan and Freddie Flintoff, and now at the age of 23 I would love to be blessed with at least an iota of the talent embodied in Joe Root and Jimmy Anderson, with both bat and ball respectively. Younger players often want to be like a player they admire, almost feel a need to pretend to be them and even use the same equipment that they use, or even copy elements of their technique and shot selection. And thanks to these big name players being handed the lucrative endorsements from the big name brands, it is these brands that the junior cricketers want to use. Pester power plays a major factor here in forcing the hand of the parent to purchase the equipment that their child’s favourite star is using, which is why I think that Gray-Nicolls have kept models such as the brightly stickered Omega bat in circulation, as England captain Alastair Cook was endorsing it last season, which helped to keep sales figures going. He may not be the most aesthetically pleasing of batsmen, but a four times Ashes winner and the highest amount of Test centuries is certainly something to look up to, and obviously very marketable for Gray-Nicolls. I was lucky enough to rifle a Gray-Nicolls sponsored player’s kit bag last year, where I picked up his Omega Test (the top of the range model) and it was a thing of beauty, the pick-up was just dreamy, it felt effortless and was like a wand. It probably weighed a lot heavier than it felt. It was just the stickers that let it down for me; but perhaps the blue and yellow X-Men colour scheme works with our younger cricketers. But this bat was custom made, hand crafted at GN HQ in Robertsbridge, where most of the pro and sponsored players’ bats are made – but all of the Gray-Nicolls junior blades are manufactured in India, with arguably less care and attention than what a Phantom, Hell4Leather or Salix bat can offer. It is a shame then, that junior cricketers are almost lulled into a false sense of security that they should want to emulate their favourite player by purchasing the bat model that particular player currently endorses. 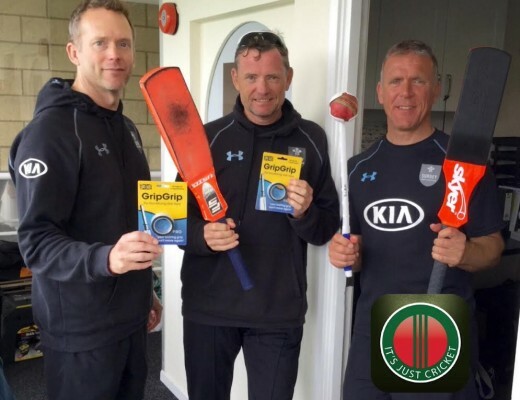 Many cricketers are a particular bunch – Graham Thorpe and Michael Hussey are great examples of being almost pathologically fastidious about their bats – so the pro cricketer may appear to be using the latest off the shelf shape or model, but will often in fact be using a bat to their desired specification, or even labelled up as another manufacturer. Yes, it’s true: just because an international cricketer has New Balance or Kookaburra stickers on his bat doesn’t mean that they weren’t made by a different manufacturer. If an English Test player wants a cricket bat custom made to his specifications, he may need to go to one of the smaller bat makers that manufacture locally in the UK, but due to contractual obligations with his sponsor, he will need to make sure that this smaller manufacturer’s stickers do not appear on his bat for a global TV audience to see! Many adult cricketers know this already, which is why there is a large number of you out there already purchasing bats that offer greater value for money, which are exact to your specifications, often from lesser known brands or from help and guidance through specialist retailers like us here at It’s Just Cricket. But through the eyes of the junior cricketer, this is a difficult pill to swallow – they want to be emulating their favourite star and using the equipment that they are using. Put simply, if their hero is using a new bat, or even a new brand and scoring a bucket load of runs – they’ll want to copy that trend, won’t they? That’s why I think New Balance will do well in England in 2016, signing up big name players and none more so this winter than the capture of Joe Root into their armoury. Ben Stokes’s all rounder position in the England team will help both sales of batting equipment and bowling boots, but it is through arguably the best Test batsman in the world that the American company will make some serious dough in the UK market this year – and my guess is that a chunk of that cash flow will come from the junior sector. This ‘problem’ with the junior market may never go away, as long as the big names stay as big as they are. They can offer the international players the huge sponsorship deals, which in turn helps as the advertising they attract turns into sales. The lesser known, ‘boutique’ brands do not have the resources to do this, but this can help their products become far more affordable and better value for money to the amateur cricketer. 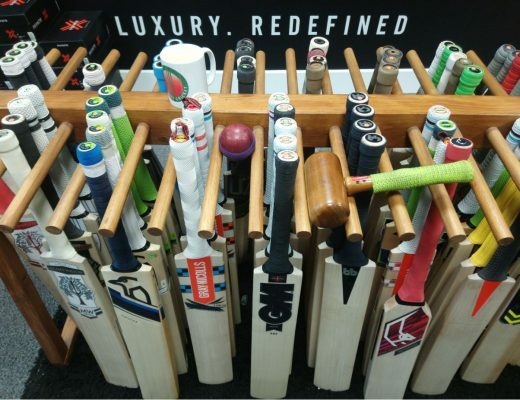 For juniors, however, it seems that through wanting to emulate their favourite star – who so often have their bats stickered with the big name brands regardless of who actually makes them – will continue to govern what bats they want to use. Perhaps it won’t be until one of the ‘boutique’ brands sponsors an international star that the preferences of the junior cricketer might change, but such an exercise might actually backfire, with the pricing of their equipment being raised in order to cover the cost of the endorsement, leading to potentially losing their ‘better value for money’ selling point. Hopefully, this move wouldn’t affect the quality of the junior equipment they produce, as otherwise we would be straight back to square one.